This Medicine Cabinet features Brushed Nickel hardware. High quality premium glass. Wall mount installation hardware included. This bathroom cabinet adds a contemporary look as well as great storage space to any bathroom. Soft-closing cupboards provide a quiet and elegant experience. This narrow cabinet will help keep your bathroom organized all the while giving your space a more stylish and spacious feel. Showcasing a sleek, modern design, this medicine cabinet features a beveled frameless Bancroft door. Mirrors are positioned on the front and back of the door, as well as the interior back of the cabinet. Two adjustable glass shelves hold your toiletries and bath items. Durable aluminum construction makes this cabinet rust- and rot-resistant. 24 In. W X 32 In. H Modern Plywood-Veneer Medicine Cabinet In White - Brushed Nickel This modern medicine cabinet belongs to the exquisite Xena design series. It features a rectangle shape. This medicine cabinet is designed to be installed as an wall mount medicine cabinet. It is constructed with plywood-veneer. 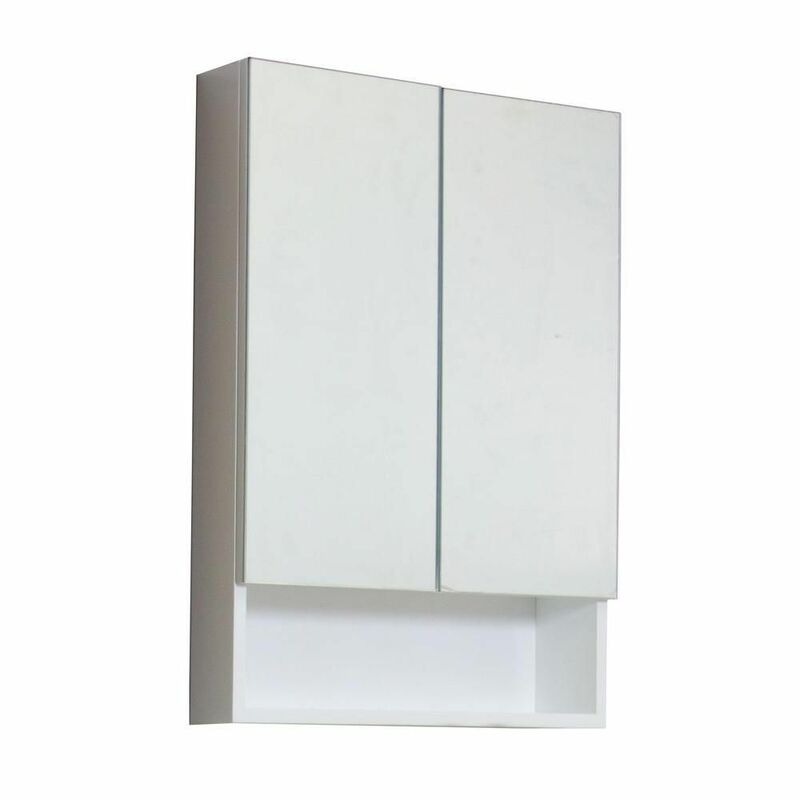 This medicine cabinet comes with a lacquer-paint finish in White color.